Like many other people I have had a lot of stress in my life lately, and I am hard on myself when I am not able to do all of the things I want to do. 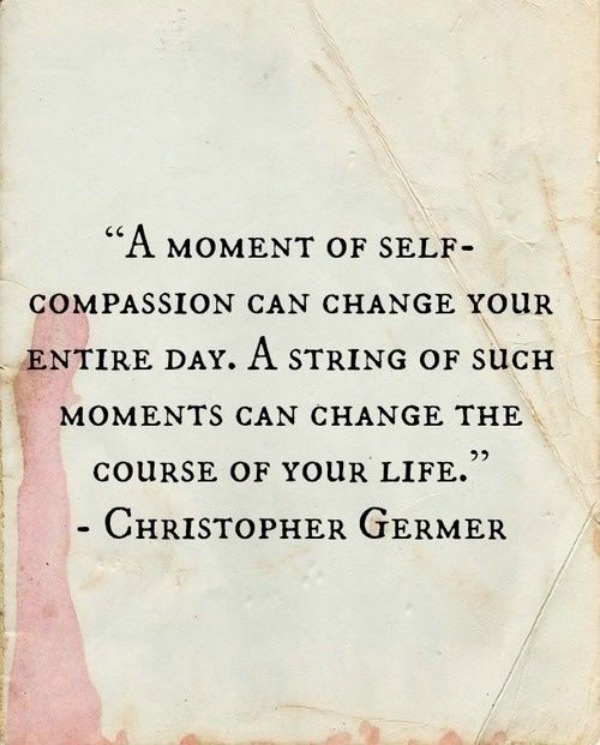 When that happens I know that I need to take time for self compassion. Just as we show compassion to other people we need to do the same for ourselves. This is a time of year when we all have many extra obligations and life can become overwhelming. It is also the perfect time to slow down, breathe deeply, and show compassion for ourselves. I know there are many people enduring stress this time of year. My husband is a firefighter and tells me so many stories about suicide calls that he goes on this time of year. It's wise to do whatever you have to do to ease the stress in your life. Such truth and I am finally learning a skill set on how to take care of me. I know that this time of the year conjures up a variety of emotions for all of us and it is important to be aware of this and nurture ourselves first. Thank you for the gentle reminder, sweet and caring friend.